For over three decades, we have worked closely with design professionals and private clients, creating works of art that have become a fundamental component and the focal point of their setting. 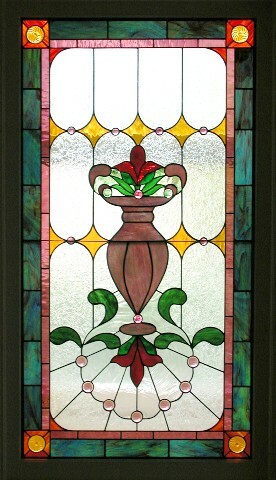 In addition, the studio has repaired and restored numerous windows, stained glass lampshades and reproduced etched glass panels. We encourage our clients to become involved in the stained glass experience by teaming up with them, their architects and interior designers when requested. Important first steps consist of listening to their needs, observing the intended space and understanding the light relationship in the location that will receive the stained glass. 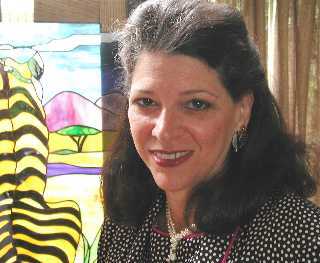 Educating people about the Stained Glass process, by guiding them through the design and fabrication phases, personalizes each project. 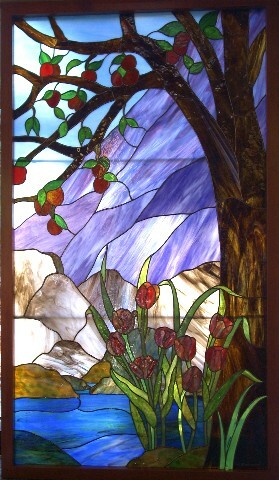 Our clients appreciate the glass art they have commissioned when they are involved in the phases of creating the piece. 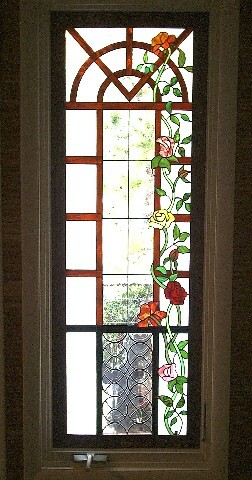 Our designs are created using stained glass CAD software called Glass Eye 2000. We are able to show clients what their project will look like before it is fabricated. If there are changes requested, we can provide a very quick turn-around time and email a revised color and / or design image. Clients are also shown the impact that hand-blown or hand rolled glass will have on their finished piece. On new commissions, we work together to develop the design concept as well as budget guidelines and schedules to successfully complete the project. So much of the focus is on what my client envisions and my ability to bring that vision to reality. People gain great satisfaction and enjoyment in the details of a commissioned piece when they are brought into the process. Equally important is an appreciation for the detail work required for a damaged window or lampshade when we are restoring it. Through careful restoration techniques and glass replacement when required, the panel or lighting fixture is brought back to life. At the studio, we focus on skillfully matching not only the glass but the technique of the original craftsperson. Artist: Linda Lieff Altabef. Fabricated for Shaaray Tefila Synagogue, Bedford Corners,NY. Window sidelight at main entrance.